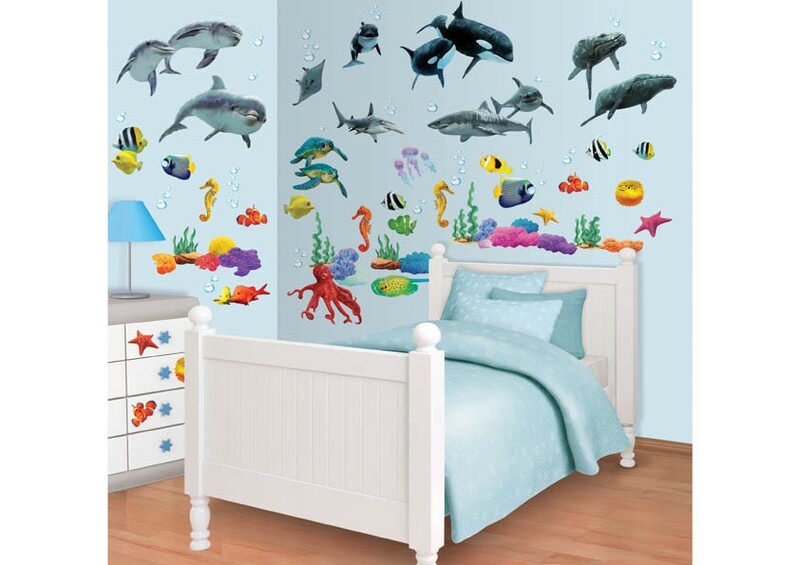 A massive selection of childrens wall stickers and wallpaper with an "Under the Ocean" theme. 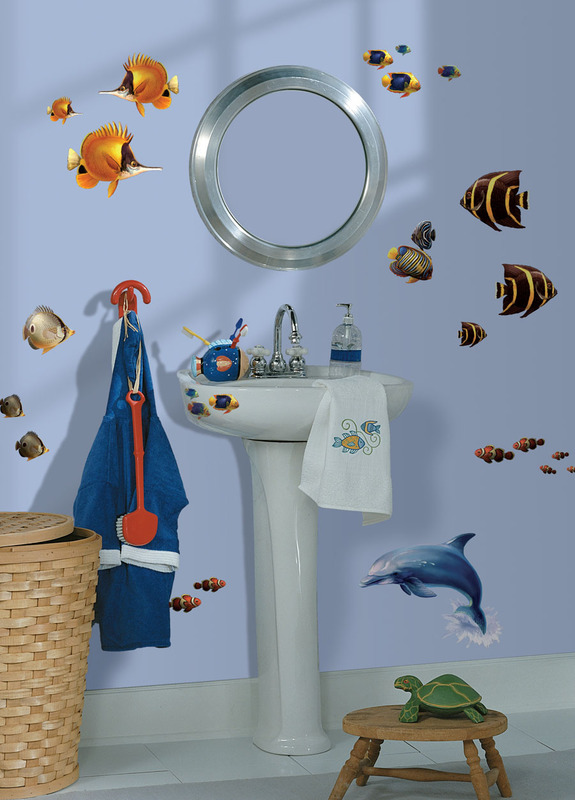 Anything from whole wall murals with an under the sea theme to a set of Sea creature stickers. 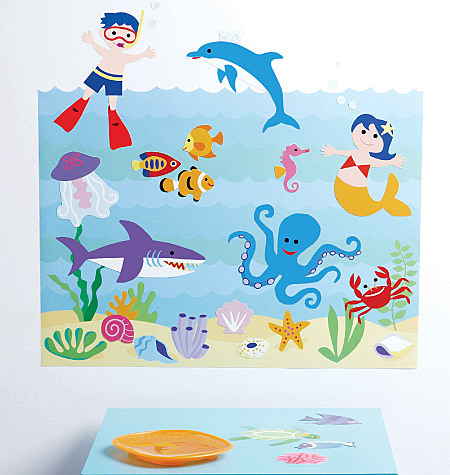 Fun-Decor are proud to announce these new Ocean range of wall stickers for kids. 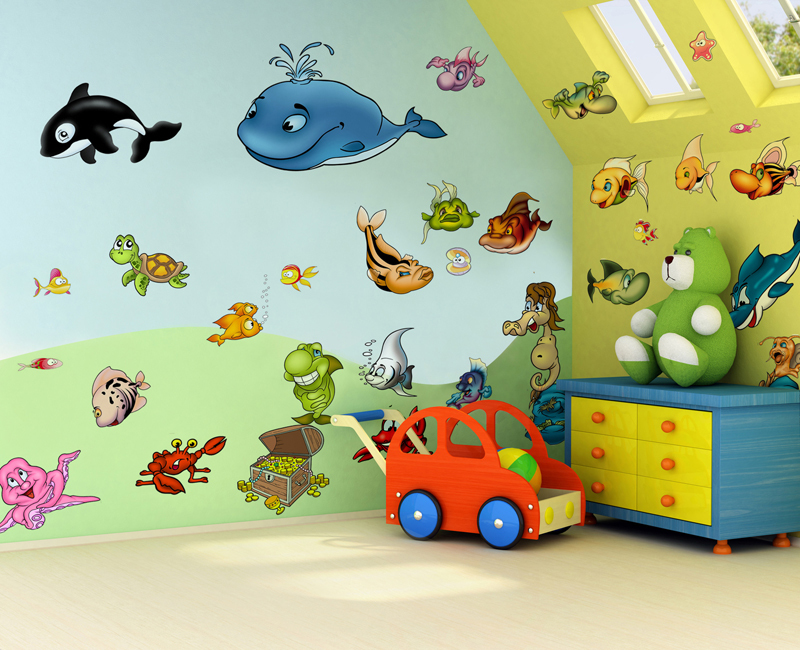 These funky Fish themed wall stickers create a stunning effect that children love, boys & girls alike. Each sheet measures 120cm x 60cm. Each Sea creature image has been carefully selected to appeal to young children, both boys and girls alike. 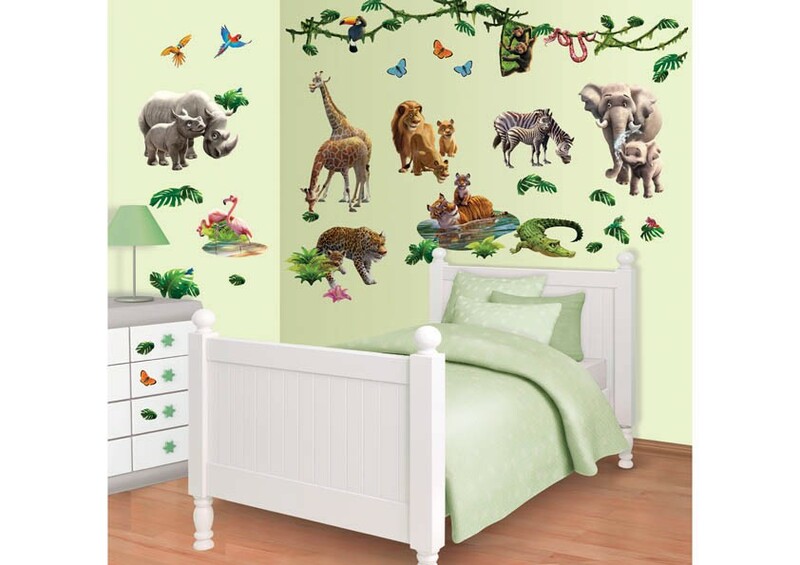 With over 30 stickers you can create a wonderful scene for your children. You can also paint a simple background if required to add to the effect. This set includes whales, sharks fish and even a treasure chest. 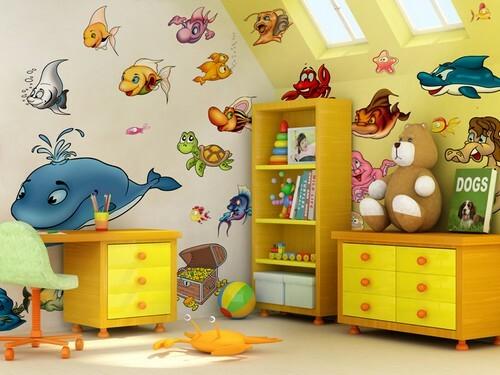 Explore the wonders of the sea with this set of realistic and colorful sea life wall stickers. Made by Room Mates in the USA these stickers are amongst the best out there. Great for kids bedrooms, but also fun for family bathrooms or even classrooms. You'll almost want to get your scuba gear to look at the all brightly colored fish and dolphins. Check out the coordinated self-adhesive border (sold separately) for total immersion. 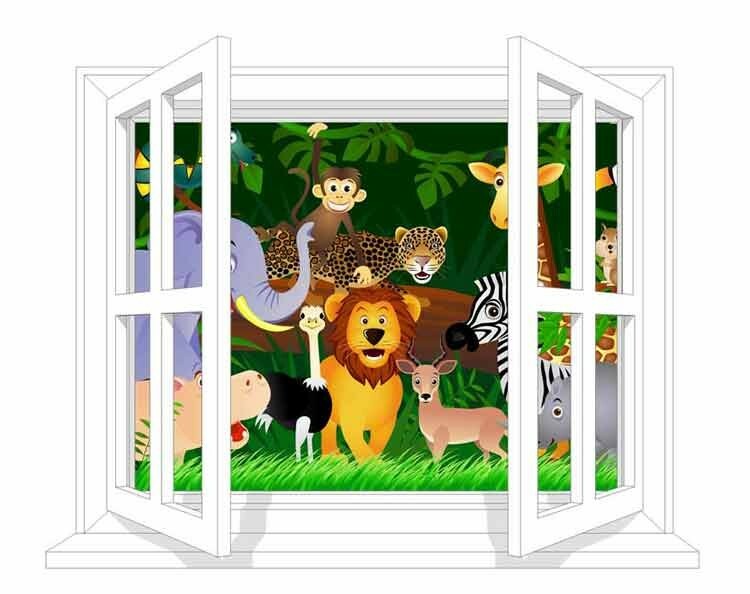 Simple self adhesive wall decals for childrens bedroom walls, so simple that children can do it. Just peel the decal from the backing paper and stick to any smooth flat surface. Easily removed and can also be repositioned to create a new look. Quick transformations to childrens bedrooms. 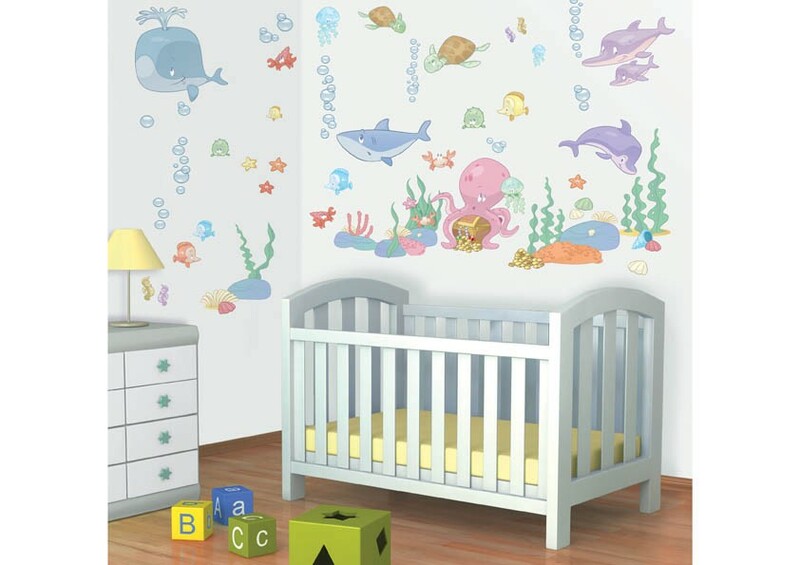 This Baby Sea Creatures sticker kit consists of a massive 93 stickers. 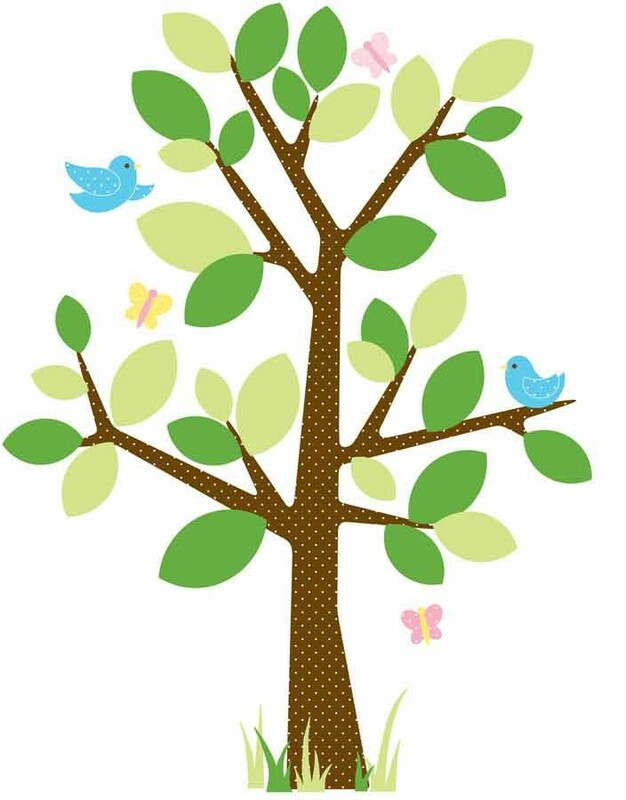 High quality Nursery wall stickers that can be placed on any wall or all walls, Doors, Furniture and even glass. A whale, Shark and Dolphins are included along with an Octipus, Starfish and loads of other fish. Even sea plants are in this kit to create a real Under the sea themed wall within the room. This Sea Adventure sticker kit consists of a massive 108 stickers. High quality wall stickers that can be placed on any individual wall or all walls, Doors, Furniture and even glass. Whales including Killer whales, Sharks and Dolphins along with an Octipus, Starfish, Seahorses and loads of other fish. Even sea plants are in this kit to create a real Under the sea themed wall within the room.